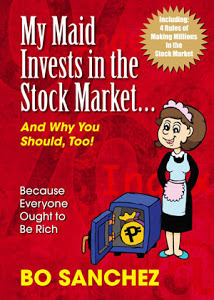 Here's a news update related to the leading online stockbroker in the Philippines- The COL Financial Group Inc.
"MANILA, Philippines - Leading online stockbroker COL Financial Group Inc. posted another double-digit income growth in the nine months to September on the back of an increased client base actively investing in the local bourse. In a regulatory filing, the stock trader said its consolidated net income jumped 11.4 percent to a record P297 million in January to September this year. Total revenues climbed by a quarter to P603.7 million as commission revenues picked up by nearly a third to P452 million while interest income rose 10 percent to P151.1 million. 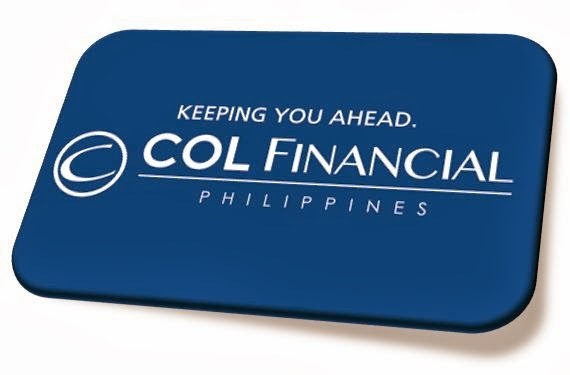 “The growing popularity of investments in the Philippine stock market brought about by falling interest rates and the acceleration growth of COL Financial’s client base were largely responsible for its record performance,” the company said. The main growth driver is COL Financial’s Philippine operations that recorded P351.7 million in operating profits, up 30 percent from last year despite the correction in the bellwether index. Since hitting its 31st all-time high this year at 7,392.20 on May 15, the benchmark Philippine Stock Exchange (PSE) index has slipped to 6,346.40 as of Friday on the back of numerous concerns on liquidity and weak global economy. But value turnover in the PSE still picked up 52.3 percent, led by the 77.9-percent gain in value turnover of foreign investors. “We are glad to see continuous expansion of our client base and their investments in the PSE,” said COL Financial president and CEO Conrado Bate. COL Financial said its client base soared 66.5 percent to 77,466 as of end-September from 46,536 a year ago. Client equity handled by the brokerage firm hit the $1-billion mark or P47.1 billion at the end of the third quarter from P34.4 billion in December 2012."